Info On October 6, 1923, Carl Beverly “Bev” Bledsoe was born in Aroya, Colorado to Carl and Josie Bledsoe. He graduated from Kit Carson High School in 1941, and served in the United States Army Air Forces in the South Pacific from 1942 to 1945. Bledsoe earned a B.S. in animal husbandry in 1949 from Colorado State University. Bledsoe began his public service career in the 1950s. From 1958 to 1962, he was secretary of the Lincoln County Stockmen’s Association. For 12 years (1959-1971), he served on the Kit Carson Board of Education, including 2 years as president and 6 years as secretary. He was president of the Cheyenne County Farm Bureau from 1962 to 1964, and the Colorado Cattlemen’s Association in 1967. He was a member of the Colorado State Board of Veterinary Medicine from 1968 to 1972, and a member of the National Western Stock Show Association. He served on the board of directors of Colorado Housing, Inc; the state’s Committee on Educational Endeavor (1963-1967); and the Colorado State Fiscal Policy Committee (1968). Upon appointment to the House of Representatives in June 1972, Bledsoe became the third member of his family to serve in the Colorado legislature. He was elected to his first full term in November 1972. He is the longest serving Speaker of the House, by serving five consecutive terms. 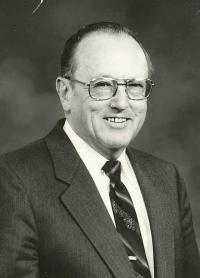 During his 17 years as a legislator, Bledsoe earned numerous awards, including: the Colorado Association of School Boards Honor Roll in 1978; “Outstanding Rural Legislator of the Year” in 1979; American Legislative Exchange Conference “Outstanding State Legislator” Award in 1986; and Colorado Future Farmers of America Appreciation Award in 1988. His chairmanships include the House Committee on Finance and the Legislative Audit Committee. Bledsoe also served as chairman of the Council of State Governments, Western Region (1985-1986); was a member of the governing board and the budget committee for the Council of State Governments; served on the executive board, South/West Energy Council; and was vice-chairman of the International Trade Committee of the National Conference of State Legislatures. He died on June 5, 2012 on his ranch near Hugo.